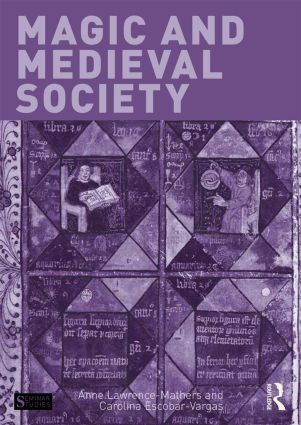 Magic and Medieval Society presents a thematic approach to the topic of magic and sorcery in Western Europe between the eleventh and the fifteenth century. It aims to provide readers with the conceptual and documentary tools to reach informed conclusions as to the existence, nature, importance and uses of magic in medieval society. Contrary to some previous approaches, the authors argue that magic is inextricably connected to other areas of cultural practice and was found across medieval society. Therefore, the book is arranged thematically, covering topics such as the use of magic at medieval courts, at universities and within the medieval Church itself. Each chapter and theme is supported by additional documents, diagrams and images to allow readers to examine the evidence side-by-side with the discussions in the chapters and to come to informed conclusions on the issues. This book puts forward the argument that the witch craze was not a medieval phenomenon but rather the product of the Renaissance and the Reformation, and demonstrates how the components for the early-modern prosecution of witches were put into place. This new Seminar Study is supported by a comprehensive documents section, chronology, who’s who and black-and-white plate section. It offers a concise and thought-provoking introduction for students of medieval history. Anne Lawrence-Mathers is Associate Professor of Medieval History at the University of Reading, and the Director of the Graduate Centre for Medieval Studies. She is the author of Manuscripts in Northumbria (2002) and The True History of Merlin the Magician (2012) as well as many articles on medieval magical texts, women and manuscripts. Carolina Escobar-Vargas is Lecturer in Medieval History at the University of Reading. She completed a PhD thesis on the Image and Reality of the Magician Figure in Twelfth-Century England in 2011 and has delivered several conference papers on related topics.